Since I first learned about intersectionality, I have been interested in finding out more about how the concept impacts the daily lives of people from all around the world, from various walks of life, and overall from very different backgrounds. The idea of intersectionality ties in well with the anthropological concept of marked and unmarked categories, which transcend cultures, religions, and geographic locations. Creating a working definition of marked and unmarked categories is key to understanding the basis by which I will discuss this topic, and how it relates to international food studies. For the purposes of this paper, I define a marked category as one which stands out in the particular context of the situation. While many people do not refer to these categories by any sort of specific definition, they play a very important role in our everyday lives and how we view those around us. Until recently, I did not fully grasp how the concept of context can fully shape what is considered marked or unmarked in a specific situation. While it may seem obvious that normal ideas about migration and food in one society might not translate perfectly to another, these categories do not follow this often simplified differentiation in various surroundings. It is true that what may be considered marked in one situation revolving around food and migration may be unmarked in another; however, the group that holds power greatly differs within any given situation. The idea of marked and unmarked categories is especially important to analyze within the context of migration studies as well as food studies. When considering immigrants, it is important to note that those who migrate are not always the marked category nor those who lack power in a specific situation. That being said, in many studies that intersect with analysis of migration, such as food studies, it is those who migrate who often fall into marginalized and oppressed groups. Food studies and specific topics within this larger umbrella provide vehicles for analysis of intersectionality, marked and unmarked categories, and food security. Through analysis of literature surrounding food studies and immigration, we are able to gain a better understanding of how intersectionality plays a critical role in the development of marked and unmarked categories within migration and food studies. Food security is vital to the successful development of a region and/or nation. IFPRI reflects on the fact that “economic growth is only sustainable if all countries have food security. Without country-owned or country-driven food security strategies, there will be obstacles and additional costs to global, regional, and country-level economic growth. Food security needs to encompass women … and vulnerable and disadvantaged groups.” Whether through government policies (such as the indirect forcing of migrants into specific areas of a certain city or region), or through social interactions between groups, the force of intersectionality directly impacts which people or groups have complete food security in the context of their region. In addition, the lack of inclusion of voices of people from historically marginalized groups within food studies furthers the problems that have already been created surrounding access to food. When first considering how food studies (and furthermore, food security) was linked to migration, I wondered which had more impact on the other. Did food insecurity cause people to migrate, or did migration somehow cause food insecurity? Arup Maharatna, in his article “Food Scarcity and Migration: An Overview,” discusses how “migration as we know it, both at the household and collective levels, is essentially a response to crisis situations (for example, food scarcity)” (Maharatna 2). This ideology makes sense, as history has seen many large movements and diasporas of people as a response to specific incidents – such as national disasters and famines. While Maharatna’s viewpoint seems to be part of the idea that food scarcity, among other issues, can cause widespread migration, I believe that because of intersectional forces, migration also impacts food security. Due to intersectionality and the way it works in countries around the world, those who are oppressed and marginalized because of one facet of their identity (such as race, religion, socioeconomic status, sexual orientation, or gender) are more likely to be in others as well. As a result, people who come from low socioeconomic statuses and migrate, for example, are at a very high risk of being affected by food insecurity. Walter Imilan, in “Performing national identity through Peruvian food migration in Santiago de Chile,” describes how “food and the activities surrounding it are not only a resource for economic integration, but also act as a mediating factor in the re-creation of a national identity. Migrants indeed use food as a way of performing their national distinctiveness from the host society” (Imilan 1). Therefore, when migrants are seen as the marked category indirectly restricted from access to fresh and healthy food because of various factors, a domino effect begins to take place. 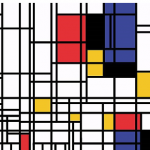 This effect passes onto national identity and more. Food security has often only been discussed in the context of rural settings; there is a significant lack of academic analytical work surrounding food security of migrants and groups who do not identify as being from rural communities. Jonathan Crush, in “Linking Food Security, Migration, and Development,” discusses how “if the global migration and development debate sidelines food security, the current international food security agenda has a similar disregard for migration. The primary reason for this is the way in which “food security” is currently problematized. The overwhelming consensus seems to be that food insecurity is primarily a problem affecting the rural poor and that the solution is a massive increase in agricultural production by small farmers” (Crush 62). Crush brings up an important topic that is rarely discussed in the fields of food or migration studies: by considering only the rural poor as those affected by food security, experts are failing to analyze major problems facing millions of migrants all around the world and the ways that they are able, or in fact unable, to access healthy and fresh food on a consistent basis. 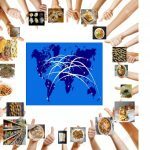 Analyzing food security and how it can impact migration, and vice-versa, could have a major beneficial impact on how studies surrounding food and migration studies are viewed; as a result, there could be a much better widespread understanding of motives for migration and how these are associated with issues related to food. Crush states that “the implications of the new mobility regime for food security in general (and urban food security in particular) need much further exploration and analysis. To what degree is heightened mobility related to problems of food insecurity? Food security shocks and chronic food insecurity can certainly be major motives for migration for income-generating opportunity” (71). Crush’s analysis sheds light on the fact that there is little to no analysis of food insecurity within migrant communities around the world. For this reason, we can see migrant communities as the marked categories and/or the marginalized group in this context. By giving more people in this group the chance to share their stories about food and their access/lack of access to fresh food, we would be able to have a better understanding of why, and perhaps more importantly, how, food insecurity and migration are linked. By giving marginalized peoples a larger voice in the academic fields of migration and food studies, there would be a better understanding of issues facing certain groups, which are currently rarely discussed. Irma McClaurin, in her writing, reflects on how through academic writing, people from historically marginalized groups can regain the power that has been taken from them; this could be seen as an especially effective in migration and food studies, where migrants are often forced to give up their national identities and sometimes their gastronomic traditions as a result of their new home. McClaurin notes that “[people from oppressed groups], ever marginal to the authoritative discourse, cannot sit at the dining room table because they were never invited” (McClaurin 50). She brings up an important topic: the tendency in academic works to write about people from marginalized groups or the groups as a whole without having a first-hand perspective. While many authors of articles surrounding food studies and migration studies have completed large studies involving interviews with people within these groups, the authors themselves often identify as being from an unmarked group within society. This reinforces a power structure within food and migration studies, as well as academia as a whole, that causes “minority scholars [to] still struggle for credibility … [and] battle a rising tide” (McClaurin 52). Until recently, these scholars had to seek validation from people in power, thereby falling victim to the social systems which they were writing about. While a hierarchy based on power continues to exist in academia, alongside other disciplines, many would argue that, with the increasing numbers of people from marginalized groups sharing their works and ideas, a slow blockage of the centuries-old power system within academia, specificically migration and food studies, is beginning to form. In addition, this problem of the norm of authors within academia has finally been uncovered for discussion and analysis. Reflecting on the new era of accepted authors within academic disciplines, McClaurin highlights the idea that when people from groups which have historically been oppressed by society contribute to pieces such as an autoethnography, they are “[promoting their] interpretations of [their world] as authentic without the validation of other social scientists” (McClaurin 67). This statement represents the complete takeback of power from those in control and from the dominating structures that our society has created in fields of academia — in other words, a marking of these structures. Furthermore, by shifting the focus away from those who have historically held power, societal issues such as oppression and marginalization of marked groups are underscored. While these topics of power, intersectionality, and oppression may seem distant from food studies, I believe that they go hand in hand. My giving more people from certain groups a larger voice within academia, and specifically food studies, we would gain perspectives that are currently widely lacking. By doing so, there would be an ability to have increased analysis, and therefore, a better understanding of how food can affect migration and vice-versa. 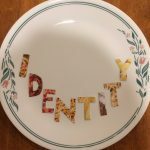 The academic disciplines of food studies and migration studies can be easily related back and tied into the anthropological concepts of marked and unmarked categories as well as the overarching force of intersectionality. The disparities between groups who have food security and those who do not often come down to societally created power differentials that exist in groups, nations, regions, and societies around the world. While many societies worldwide are experiencing changes in power differentials between unmarked and marked groups, few focus on the works created by people from marked categories – often people who have been marginalized and oppressed. When societal norms that have existed for decades or even centuries are disrupted, underlying themes of oppression and marginalization are often brought to light. Power shifts away from those who have historically held it sparks conversations about the history and social structures of those who have been downtrodden. As we can see through academic writing in the fields of migration and food studies and beyond, the need to analyze works surrounding food security written by people from marginalized groups is greater than ever, and a deep understanding of these works could empower people in marked groups, helping to ensure food security for more groups of people around the world, on a consistent basis. Crush, Jonathan. “Linking Food Security, Migration and Development.” International Migration, vol. 51, no. 5, Oct. 2013, pp. 61-75. EBSCOhost, doi:10.1111/imig.12097. “Food Security.” International Food Policy Research Institute, www.ifpri.org/topic/food-security. Maharatna, Arup. 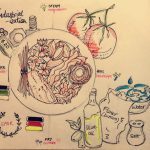 “Food Scarcity and Migration: An Overview.” Social Research, vol. 81, no. 2, Summer 2014, pp. 277-298. EBSCOhost, doi:10.1353/sor.2014.0026. McClaurin, Irma. 2001. “Chapter 2: Theorizing a Black Feminist Self in Anthropology.” Essay. In Black Feminist Anthropology: Theory, Politics, Praxis, and Poetics. Milan, Walter A. 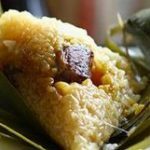 “Performing National Identity through Peruvian Food Migration in Santiago De Chile.” Fennia, vol. 193, no. 2, June 2015, pp. 227-241. EBSCOhost, doi:10.11143/46369. A video clip posted by Weibo user Jiuke showing a crayfish, a close relative of lobster, making daring escape from being boiled alive in a Sichuan hotpot by clipping off its own claw has gone viral since a month ago on Chinese social medias and social medias around the world. Although these freshwater crustaceans, also known as crawfish and literally “little lobster” in Chinese, have the ability to regrow their lost limbs, amputating its own claw still appears courageous and intelligent. Now the surviving crayfish becomes a pet and is living in an aquarium in Jiuke’s home, according to Casey Quackenbush on Time.com. Crayfish being one of the most popular culinary delicacies in China nowadays was first viewed as an invasive species and pest in the agricultural industry sector. It caused catastrophic damage to rice terraced fields. 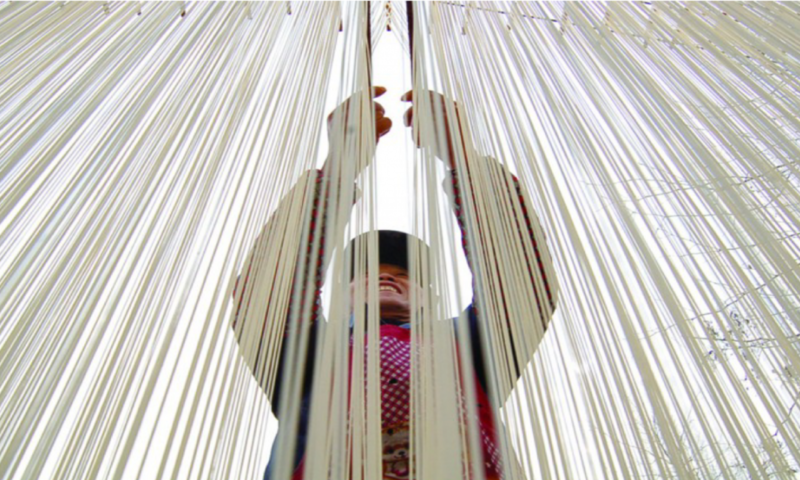 Rice farmers in China hated them and used pesticides to kill them in order to save their crops. This came to an end when people found out about the great economic value of crayfish. According to Robert John’s blog about business in Asia, the first recorded commercial harvest in Lousiana of the United States became the first successful model for the commercialization of crayfish. This provided an excellent business solution for China to solve the “crayfish dilemma”. This consequently gave birth to a booming industry of crayfish. With Louisiana producing 85-95% of crayfish production in the United States and China having similar agricultural conditions, the Jiangsu province of China quickly became the second Louisiana (John). According to China’s Ministry of Agriculture (MoA), the crayfish sector in China is worth of 42 billion USD up to date, which takes into account both upstream and downstream sales (Harkell). Upstream includes crayfish cultivation and farming and factory processing. Downstream includes catering, markets and online retailing etc. It is ironic that a rice farmer’s worst enemy serving as cheap agricultural fodder becomes the most sought-after food among urban millennials and a pillar industry of the total Chinese food service market. The long development of crayfish industry in China since the initial imitation of the U.S. model has created a huge innovative industry which encompasses a whole chain of sub-industries, which include but not limited to entertainment, catering and online shopping etc. The significance of crayfish in Chinese food industry is reflected from the transformative impact that it acts on the economic and social landscapes of the total Chinese food service market. Crayfish has reshaped the Chinese food industry on various aspects especially in the economic sphere because these “little lobsters” have boosted the development of industrial transformation and upgrade. In the social sphere, on the other hand, crayfish has served as a social tool for people to interact and connect with each other. Crayfish has lead the transformation and upgrading of the Chinese food industry because these “little lobsters” unleash the market power on economic development and industrial upgrade. In the upstream level, it promotes transformation by raising huge demand for food quality control among Chinese customers. Crayfish, being a highly adaptable freshwater aquatic species, is often seen living in seemingly dirty environments. This fact has raised great concerns about the safety of crayfish among Chinese customers because they are really worried about whether the “little lobsters” they eat live in a sanitary environment and are fed with clean and nutritious food sources. Qingjiang in Hubei Province, a city famous for its crayfish production and industrial improvement attempts, offers a satisfactory answer to this question of Chinese customers. In order to dispel the concerns regarding the sourcing of crayfish, Qianjiang first introduces “ID cards” for live crayfish to counteract the concern of sanitary condition and nutritious value of crayfish. According to Xinhuanet, “by scanning a QR code on a carton of crayfish, the buyer can learn information about the animals inside, such as where they were raised, where they were bred, and even details about their food. The measure is part of Qianjiang’s efforts to build a quality traceability system for crayfish. The city produces one-tenth of China’s crayfish” (“Across China”). Chinese customers’ demand for better food quality stemming from the environmental adaptability of crayfish has provided incentives for crayfish sourcing companies to improve their services by implementing technological advancement to ensure food safety and quality. In addition to implementing the “ID cards”, Qianjiang still turned to technological innovation. Qianjiang chose to build an online quality monitoring system and a quality testing center and is cooperating with SF Express, which enabled monitoring use of food sources, living conditions and rapid precise tests of crayfish and fast delivery of live crayfish ordered online to more than 300 domestic cities within 2 days (“Across China”). These attempts of incorporating technological innovations are examples of structural reforms in the supply side of the crayfish industry, which in turn sets a great exemplary model for other food service sectors. In the downstream, on the other hand, crayfish culinary training and crayfish-themed restaurants have become very popular and incurred increasing demand for the innovation, reform and upgrade of the upstream industry. “As Chinese policymakers seek to promote domestic consumption in order to reduce the economy’s reliance on fixed-asset investment and exports, the growth of industries such as crayfish is a welcome development” (Wildau). In addition, according to MoA, “Crayfish has afforded undeveloped rural regions an effective catching-up strategy for rural development and poverty alleviation; played an important role in cultivating new opportunities for local economic growth; promoted structural reforms in the supply side of the agricultural (fishery) industry and efficiency; and increased the income of farmers (fishers)” (Harkell). Crayfish’s important role in reshaping the economics and social landscapes of the total Chinese food service market has been magnified in the background of Chinese government encouraging and supporting the development of Crayfish industry. The accidental effects crayfish have on the Chinese food industry provide thoughts on how to develop or reform a specific industry by focusing on commercializing a targeted product. These “little lobsters” become a successful symbolic representative of this economic development strategy. 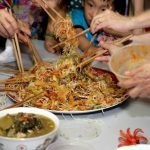 The underlying significance of eating crayfish in a social setting and the pure joy of this feasting ritual are interconnected. Crayfish is the carrier of cultural and interpersonal communications. This is truly an interesting phenomenon that crayfish plays such an important role in Chinese food industry and culture. Quackenbush, Casey. “Crayfish Amputated Its Own Claw to Escape Hotpot in China.” Time, Time, 4 June 2018, time.com/5299950/china-crayfish-escapes-hotpot/. John, Robert. “Chinese Crawfish vs. Louisiana Crawfish.” NOLASIA, NOLASIA, 7 Apr. 2016, nolasia.net/chinese-crawfish-vs-louisiana-crawfish/. Harkell, Louis. “China Gov’t Says Country’s Crayfish Industry Worth $42bn.” Undercurrent News, Undercurrent News, 19 June 2018, www.undercurrentnews.com/2018/06/19/china-govt-says-crayfish-industry-worth-41bn/. “Across China: China’s ‘Hometown of Crayfish’ Moves to Improve Quality.” Quotable Quotes on Belt and Road from World Intellectual, Business Personnel – Xinhua | English.news.cn, Xinhuanet, 30 June 2018, www.xinhuanet.com/english/2018-05/28/c_137212908.htm. Wildau, Gabriel. “Chinese Urban Consumers Gobble up Crayfish as Industry Booms.” Financial Times, Financial Times, 25 Aug. 2017, www.ft.com/content/4445afba-66e9-11e7-8526-7b38dcaef614. Instant noodles are the noodles that could be cooked just by adding hot water. 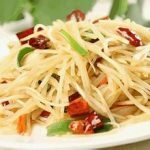 With the addition of flavoring powder and seasoning oil, people can get a hot bowl of noodles within just three minutes. Instant noodles help people save time from cooking and fill people’s stomach. Therefore, nowadays, instant noodles can be seen everywhere in the supermarket and its consumers include people from all classes. In this paper, I want to study the development of Chinese instant noodles from the perspective of history, economic, anthropology and culture. The paper is divided into three parts. The first part will describe the general development of instant noodles considering the economic and historic situation in China. The second part will focus on exploring the changing of ingredients and packaging of instant noodles in China. And the third part will reflect on the question of why instant noodles are more popular in the old times than nowadays. Firstly, I want to examine the development of instant noodles considering the economic and historical situation in China. From research, Instant noodles were invented by Momofuku Ando of Nissin Foods in Japan. (Fijimini, 2012) They were launched in 1958 under the brand name Chikin Ramen. However, it was not until 1964 when instant noodles are finally introduced to China. In 1964, Beijing Food Factory tried to use duck oil to produce dried and fried instant noodles. However, they did not succeed. Four years later, the first instant noodles were invented by Shanghai YiMing Fourth Food Factory. (Du, 2017) It used the technology of high pressure in cooking fried noodles to produce almost 2 millions package of instant noodles to Chinese consumers, signifying the start of Chinese instant noodle production. During the 1978 to 1980, the scientists cooperated with Beijing Food Factory and designed an exclusive technology of producing instant noodles by steaming noodles with high pressure and drying them with infrared ray. Therefore, from the year of 1964 to 1980, China was in the period of exploring instant noodles. From 1981 to 1986, China began its initial mass production of instant noodles. In 1981, Shanghai Yiming Food Factory and Beijing Instant Noodle Factory imported several assembly lines of instant noodle from Japan. During 1980s, with China opened its door towards foreign companies and embraced the idea of market economic, China had imported almost 100 assembly lines from Japan and put them into Shanghai, Guangzhou, Wuxi etc. to start the instant noodles production. (Du, 2017) With the introduction of instant noodles into Chinese market, people began to learn about instant noodles. However, the instant noodles at that time was rather expensive compared to rice because it involved foreign technologies. According to history document, people needed to spend a quarter and two food coupons(粮票) in order to have one instant noodles. But normal Chinese family do not have such spare money to buy things other than necessities. Therefore, instant noodles don’t have lots of consumers in the beginning. So during the period of 1981 to 1986, there were few profit in making instant noodles and instant noodles were not very popular among China. During the year of 1992 to 1995, instant noodles in China developed quickly. There were advertisements of instant noodle everywhere and people were made to believe that instant noodles were the necessity for traveling and for everyday life. (Du, 2017) During this time, lots of foreign companies were competing with each other. They released all kinds of instant noodles and attracted customers with its stretchiness, smooth, unique taste and pretty packaging. The year after 2001 to now, Chinese instant noodles began to develop stably. The noodles nowadays strictly followed the food standards set by Chinese government. The industry now aimed to produce healthier and more nutritious instant noodles with more diverse taste and packaging. Moreover, the seasoning also began to change slightly. Before, it was comparably plain for it was only salty. 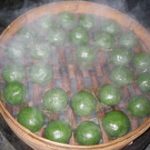 Nowadays, people add more seasoning and oil inside so that it has the tastes of spicy, Unami and salty. In addition, there are more variety of instant noodles. For example, besides noodle with soup（汤面）, there are also lo mein(拌面) and crispy instant noodles(干脆面). Therefore, with the history advancement and economic development in China, we could see the change of instant noodles in taste, packaging and cooking style. Secondly, I want to explore the change of ingredient and packaging of the Chinese instant noodle. In order to show the change of taste in instant noodles, I will mainly compare the ingredient differences between Meat Noodles(肉蓉面) from old times and Kangshifu’s braised Beef Noodles with soy sauce(红烧牛肉面) nowadays. 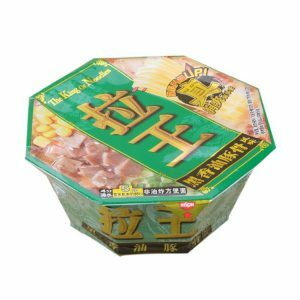 Meat Noodles were produced by Shanghai Yiming Food Factory. It was among one of the first instant noodles produced in China. It used to be popular in old times. By opening the paper packaging, there was only one powder seasoning and curved noodles. 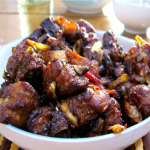 In the powder seasoning, it contains salt, sugar, flour and onion powder, pepper powder and rousong(肉松). After it is cooked, the noodles are stretchy and according to consumers, the noodle soup is mainly salty without other taste. Therefore, many people nowadays mainly used this noodle in the hot pot because it is very smooth and stretchy. (Cheng, 2017) On the other hand, Kangshifu’s braised beef noodles is completely different from Meat Noodles. Kangshifu is a Taiwanese company who was among the first foreign companies to produce instant noodles in China. When Kangshifu produced this kind of braised beef noodles, it soon became a hit. According to statistics, eighty percent of instant noodles consumed by Chinese people are Kangshifu’s braised beef noodles. 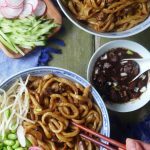 Kanagshifu’s braised beef noodles in soy sauce is very different from Meat Noodles not only in ingredients but also on taste. For seasoning, it not only contains flavoring powder, but also contains seasoning oil. It was the first instant noodles in China to have seasoning oil. Moreover, it adds more ingredients in the flavoring powder too. For example, it contains monosodium glutamate(味精), curcumin and crocin that Meat noodles did not have. (Kang, 2000) With all these ingredients, people can experience more tastes in the noodles and the soup in the noodles is more delicious. The evolution of taste in Chinese instant noodles from Meat noodles to braised beef noodles reflects Chinese people’s evolution in taste too. During 1980s, Chinese did not have much food to choose. Therefore, the food people ate are rather plain and are not diverse. The main goal is to fill their stomach. 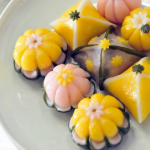 However, as China progress, people tasted more and more delicacy, so people have more requirement for food. As a result, people would eat noodles like braised beef noodle to enjoy a variety of taste in noodles. Thirdly, I want to discuss the reason why instant noodles are more popular during 2000s than nowadays. According to BBC report in 2000s, China sold over 46.2 billion instant noodles each year. (Atkinson, 2017) This is around one third of the world’s consumption of instant noodles, making China the biggest consumer of instant noodles. However, recently, lesser and lesser people choose to eat instant noodles. I want to address this phenomenon in four aspects. First of all, in nowadays, customers want better food than instant noodles. Cooking instant noodles are really easy: Just adding hot water and seasoning into the bowls and wait for three to four minutes. 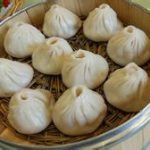 However, people nowadays have higher expectation than having dehydrated vegetables and meat and noodles with preservative. With all kinds of restaurants everywhere in the city, less people will choose to have instant noodles which are not nutritious. Just like Zhao Ping, the Academy of China Council for the Promotion of International Trade said “The decline of instant noodle sales shows a shift in China’s consumption patterns. Consumers are more interested in life quality than just filling their bellies these days.” Secondly, less people choose to have instant noodles because of the population shift (Atkinson, 2017). One of the big consumers of instant noodles are migrant workers because they are away from home, often living in cramped conditions with limited cooking facilities, and keen to save as much money as they can to send back to their families. Before 2010, a huge number of rural Chinese went to cities to work. But that trend has now reversed for the following years. It shows that more people choose to live in rural areas than before. Therefore, less people will take the train and eat instant noodles during their travels. Thirdly, less people consume instant noodles might be the result of Infrastructure improving and people’s habits changing during travel times. 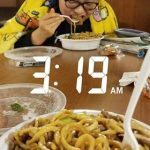 According to a passenger: “Travelling in China 20 years ago, I filled my stomach (and time) by eating pot after pot of instant noodles during cross-country train journeys, which sometimes lasted three days or more.” (Atkinson, 2017)However, this phenomenon is changing. Chinese trains and stations have improved. Journeys are quicker, and the range of food options are far more international. For example, there are McDonalds, KFC, and Starbucks in nearly all train station. Therefore, noodle sales on the railways have fallen. And then there is the boom in aviation as middle class Chinese people spend billions flying on domestic and international holidays instead of using trains. As a result, less people will buy instant noodles during travel. Fourthly, there is also the influence of internet and smartphones, which help promote food delivery everywhere. About 730 million people in China now have access to the internet according to government figures. And about 95% of those are using smartphones to connect. Among these smartphones, almost all of them would have food delivery app inside. Whenever people are hungry, they could just get the food by one click on their smartphones. After waiting for half an hour, the food will be delivered right to your home or office. Their menus are undoubtedly more expensive than a pot of instant noodles. But these meals can still be inexpensive. And arguably more tasty. So considering consumer’s expectation, population shift, infrastructure improvement and the commonality of delivery app, people can see why instant noodles are not as popular in nowadays as before. In conclusion, the history of instant noodles in China really reflects China’s economic and culture development. From instant noodles, people can see the condensation of Chinese food culture. Because it combines the taste of general Chinese people into one seasoning powder. So by studying the change of Chinese instant noodles, people also study the change of taste in Chinese people. Moreover, by studying the popularity of instant noodles in China, people could also see China’s society change and technology improvement in China. “National Trends in Instant Noodles Demands”. World Instant Noodles Association (WINA). Archived from the original on 6 June 2012. 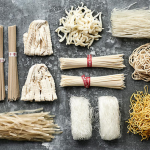 Asian noodles : science, technology, and processing. Hou, Gary G. Hoboken, N.J. ISBN 9780470179222. OCLC 907642187. Li, Man; Sun, Qing-Jie; Han, Chuan-Wu; Chen, Hai-Hua; Tang, Wen-Ting. “Comparative study of the quality characteristics of fresh noodles with regular salt and alkali and the underlying mechanisms”. Food Chemistry. doi:10.1016/j.foodchem.2017.11.020. “Asian Thai Foods”. Asian Thai Foods. Retrieved 7 November 2012. In this world, there are so many factors that impact our every day lives. Change is inevitable, and often hard to notice. New companies are born while others die, and this process has a significant impact on the economy, which in turn affects our standard of living and our lives. Of the factors that affect our lives, food is a salient one. Food is a reflection of culture and tradition and has a massive impact on our day to day lives. It is more than something one eats in order to work; it is an experience that is cherished by every individual in the world. Because of its enormous impact on everyday life, changes in food start to impact the social culture. One such example is the emergence of instant noodles in India. It was summer in 1983 when my uncle was just eight years old. 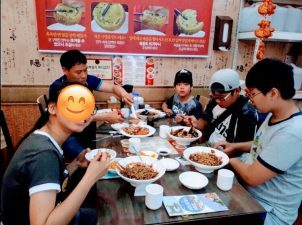 My family was impoverished, and they barely had enough money to eat; however, every once in a while my uncle and his friends would save up some money and get some street food on their way back from school. 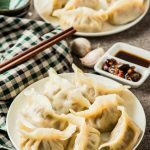 He recalled that they would always try and find ways to eat something different, but money and access to different foods were obstacles that were hard to overcome. At the time, the only food available was traditional Indian food that would sometimes take hours to cook; however, when Maggi Noodles was introduced, it changed the whole dynamic of cooking. All a person needed was hot water to share a tasty, easy-to-make meal. It was something that they could make themselves, and it was very time efficient. The distinctive branding of the noodles allowed for more people to hear about them, that in turn increased the popularity of the product. These noodles marked a revolutionary shift in India’s food culture. 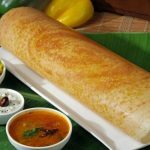 They were the go-to food whenever someone was hungry, and due to its low price, it was a very accessible product for a majority of India’s population (Nagarajan). The emergence of instant noodles in India, made famous by the brand “Maggie Noodles,” has had an enormous impact on India’s social and economic culture by allowing for more women to go to work, conquering hunger for the poor, and improving India’s economy. Instant noodles were first introduced to the world in 1958 by a Japanese-Taiwanese businessman named Momofuku Ando. He came up with the concept of “3-minute noodles” and invented a way to mass produce them. While the noodles were a success, their consumers demanded more flavor and taste of the noodles. Hence, the company provided flavor packets along with the noodles. The brand he created later became known as Nissin Noodles that makes varieties of different flavors of “cup noodles.” To this day, Momofuku Ando is known as the father of instant noodles. Since the invention of instant noodles, they have become a worldwide phenomenon and are consumed by people of all different backgrounds (“History”). The mass production of these noodles made them easily accessible everywhere; however, India did not catch on to this “instant noodle craze” until 1983 when “Maggi noodle” was first introduced to India. Maggi started off as a brand in Switzerland in 1884 that made powdered soups. Julius Maggi, the founder of Maggi, aimed at making food that was affordable for the average worker and was time efficient. Its primary mission was to create a fast and easy meal that would help working women save time and focus on work (“Maggi History”). Maggi later expanded and created new products such as soups, sauces, seasoning, and noodles. Julius Maggi invested a great deal in the advertisements that helped the company grow and become more successful. Maggi was acquired by Nestle in 1947 and has sparked a noodle revolution in India (“Maggi History”). Its branding and impact on India’s consumers make it one of the biggest companies in India. Maggi noodles have had a great impact on the everyday life of the average working woman in India. Its low price for a filling meal has made it accessible to even India’s low-income families. The iconic branding of “2-minute noodles” baffled India’s women as they would spend hours in the morning cooking breakfast before going to work. Therefore, the Maggi brand targeted working women promising more efficiency due to its noodle’s fast cooking time. However, it did not initially have great success with India’s demographic. People still preferred to have traditional, home-cooked meals. After conducting many surveys, the brand started targeting children. Their slogan, “ Easy to cook, Good to eat” shows how the noodles are easy to cook for parents, and good to eat for the children. They not only target children, but they also target adults who are preparing the noodles as well. The noodles only became popular among India’s population once the company improved it branding techniques. 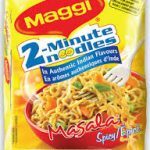 Due to the typical Indian dinner time being between 8:30 pm and 11:00 pm, Maggi was a great snack in between meals. The company initially targeted working women, but later advertised it as a family brand. They focused mainly on convince and health while advertising, and promoted their brand in many ways: sampling, advertising, product size, customized products, and variety of flavors. 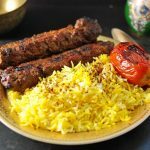 These methods worked for changing the consumer demand for traditional Indian food to this fast and easy meal. However, the Indian population was still skeptical of the health effects of instant noodles (“Branding Strategies”). Because of health concerns, Maggi introduced the whole wheat instant noodle called “Maggi Atta Noodle.” This introduction helped solve some of the concerns the Indian consumers had about the unhealthy nature of instant noodles. Maggi noodles have played a significant role in improving India’s economy. After the introduction of Maggi Noodles, India adopted the noodle culture and became the fifth in rank in terms of consumption of instant noodles. The industry of instant noodles has grown 7.6% between the years 2010 and 2017. Maggi shares 61% of the market for instant noodles in India (BusinessToday.In). In 2015, there was a ban on Maggi due to excessive amounts of lead, and it was taken off the shelves all over India. During this period, Maggi was still in high demand by Indian consumers who had gotten used to eating it. Before the ban, Maggi noodles had control over 80% of the instant noodle market in India, but it seemed that Maggi’s reign as the number one instant noodles brand in India was falling apart. However, after the ban was lifted, consumers went back to buying Maggi products (Mitra). Because of the prohibition of Maggi noodles, Nestle launched a campaign called a “#WeMissYouToo” to show how the Maggi ban has changed the everyday lives of its fans. During an interview I conducted, I asked to “describe what life was like when Maggi was banned in India,” to which Prahalad Krishna, a senior in high school, responded, “I tried looking for alternatives for Maggi, but none of the other brands tasted as good as Maggi. I just had to wait it out” (Krishna). Although Maggi was banned in India for about eighteen months, the influence and impact of Maggi were made crystal clear. Maggi is one of the “fast foods” that has had fairly steady growth over the years that have had a direct correlation to the increase in nuclear families and employed women. India is a traditionally male-dominated society, and women did not start going to work until recently. Due to social and economic changes that led to the increase of purchasing power and needs, women started to be part of the labor force. Many factors impact fast food consumption among nuclear families with working mothers: “large variety /periodic new product, the price is affordable, cooking is considered a lower priority, and home delivery (comfort and convenience of food) ” (Joshi & Chopra). Based on the study of the fast food consumption of nuclear families with working women, it can be concluded that Maggi noodles, that is considered “fast food” is a reliable option for working women in urban areas of India. The noodles fit almost all of the factors that are described above; therefore, it is one of the foods that have contributed to a shift in India’s food culture. To see how the trends in food culture have shifted since the introduction of Maggi, I conducted a series of interviews. Among those was a working woman from India named Rathna Krishna. She has been working for Delhi telephones for twenty-two years and is the personal assistant to the deputy manager. I asked her a number of questions related to how Maggi has impacted the social culture in India from the perspective of a working woman. She expressed that she has never liked Maggi noodles herself, but her children love them. It saves time before going to work, and it is effortless to make. When asked if Maggi has changed India’s social culture in any way, she responded “Maggi has become the national fast food in India. Everyone is crazy about the brand, and even street vendors sell Maggi as a snack or meal. It is cheap and accessible to much of India’s population. Before Maggi came to India, people only ate traditional Indian food, but once it was introduced, it became everyone’s favorite snack – both adults and children” (Krishna). The next interview was her son, who is a senior in high school in India for a different perspective. When asked how often he eats Maggi and why he likes it, he responded, “I eat Maggi Noodles about 3-4 times a month. I like it because the taste is good and it is very easy to make. During the noodle ban, I tried many other ramen brands, but none of them tasted as good as Maggi. In my school, you see at least one person bringing Maggi noodles to school every day.” When asked if he has any personal stories related to Maggi that he would be willing to share, he responded “I went to Kedarnath, Uttrakhand [a state in India] for a religious trip, and it is up in the mountains where it is extremely cold. It is only accessible through a helicopter ride, and there is absolutely nothing there – no stores or anything. We got out of the helicopter, and there was a vendor who was selling hot Maggi. A plate of hot Maggi in that weather was a luxury” (Krishna). By conduction these interviews, it became clear that Maggi is a brand that is available all over India – from the busy streets of Delhi to the deserted mountain tops of Uttrakhand. 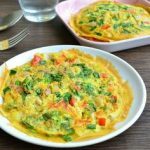 It is a quick and easy meal that has impacted both working women and children all over India. Maggi has almost become a part of Indian culture due to its immense popularity. To test if it has truly had an impact on Indian culture, I decided to interview a college student, Anirudh Krishna, who has lived in India for the majority of his life but moved here for college. During the interview, I asked him if he thinks Maggi noodles have impacted his diet even here in the United States where fast food resultants are much more available. He eats Maggi about two times a week, and as a college student its sometimes hard to find fast cheap food. He recalls that he did not eat Maggi much while living in India, but after moving to the United States, he consumed it more. Anirudh described that he eats Maggi when he misses home and it provides a connection he has with his past and his family. 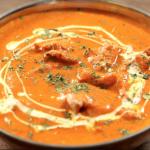 Even though it is not traditional Indian food, it still provides this nostalgic feeling that all comfort foods offer (Krishna). Ramen noodles have been a part of the college culture for years due to its convenient and efficient preparation time. Maggi noodles are the most valued brand of ramen noodles by people of Indian origin who have never lived in India. I interviewed my friend, Shailee Parekh, who has lived in the United States all her life. Although she has never been exposed to the popularity of Maggi noodles in India, she still prefers Maggi to other brands of Ramen noodles. She has grown up with it even though it is not available here. When asked why she believes Maggi is so prevalent in India, she responded, “I am a vegetarian, and the variety of vegetarian instant noodles that the Maggi brand provides is one of the reasons I choose Maggi. So that could contribute to the popularity of Maggi in India” (Parekh). The interview shows that the Maggi brand has had an impact on the Indian culture as Indians all over the world love eating Maggi noodles. Through conducting several interviews, it became clear that Maggi has had an impact on people of many different backgrounds and age groups. Instant noodles have also been suggested as a possible solution to conquer hunger among the poor. With its low price and accessibility, it may be a suitable solution to the problem of hunger; however, Maggi has mainly targeted middle class and urban consumers. Due to the complex supply chain processes that need to take place for Maggi to reach India’s villages, the company has avoided focusing on rural areas. According to Sounak Mitra, “about 70% of India’s population still lives in its 638,000 villages, more than 55% of retailing actually happens in metros, mini-metros, and tier-I cities, according to a Technopak study” (Mitra). If Nestle India put a percentage of its advertisements in rural areas, it could help fight the hunger problem in India. According to the Times of India, instant noodles could be a terrific solution to world hunger as food becomes scarcer in the future. It has also been observed by researchers, that “Instant noodles thus far have been virtually unstoppable – and, as such, their accomplishments are worthy of serious attention” (“Instant Noodles – Quick Solution” ). Perhaps, instant noodles could be a solution to the global hunger problem as it is a cheap and filling meal that can be had any time of day. In conclusion, Maggi has had a significant impact on the lives of working women who do not have time to make a traditional Indian meal all the time. It could also be a solution to combat the issue of hunger in rural India, and it has helped India grow economically. While the Indian culture did not embrace the new instant noodles at first, it has expanded and become India’s favorite “fast food.” Mothers make it for their children as a quick and easy meal, and once the children are old enough, they make it themselves. 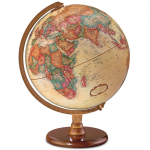 It is widely available, from grocery stores in the city to small street vendors in the desolate Himalayan mountains. 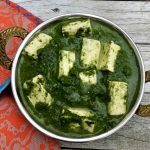 It is a delicacy in India and has become one of the most popular meals among children and adults alike. Its taste and aroma is recognized by many and has had an enormous impact on India’s social and economic culture. Maggi is the most prominent noodle dish in India, and it is eaten throughout the nation. 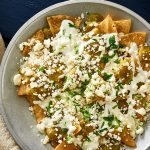 It is a quick and easy meal to turn to in the middle of finals week, or a snack to share with friends in between meals. Although changes in social and economic cultural differences are not readily noticeable when one is living through time, Maggi has played a massive role in shaping India’s food culture and has contributed to making India’s workforce more inclusive. BusinessToday.In. “Will India Ever Get over Its Maggi Hangover?” How Nike’s Marketing Strategies Helped It Become a Global Brand, Business Today, 30 Nov. 2017, www.businesstoday.in/current/economy-politics/maggi-nestle-india-ltd-uttar-pradesh- fine-fssai-fsda-hangover/story/264986.html. “History of Instant Noodles.” History | World Instant Noodles Association., World Instant Noodles Association, instantnoodles.org/en/noodles/index.html. Ideasmakemarket. “Branding Strategy of Maggi Noodles.” IdeasMakeMarket.com, 3 Mar. 2015, ideasmakemarket.com/2012/02/ideasclash-2-0-entry6-branding-strategy-of-maggi- noodles.html. Joshi, Kiran, and Komal Chopra. “To Study Factors Affecting Fast Food Consumption for Nuclear Families Having Working Women in Mumbai / Pune.” International Journal for Research in Applied Science & Engineering Technology (IJRASET), Mar. 2016, www.ijraset.com/fileserve.php?FID=3716. Krishna, Rathna. Personal interview. 27 June 2018. Krishna, Prahalad. Personal interview. 27 June 2018. Krishna Anirudh. Personal Interview. 27 June 2018. Mitra, Sounak. “How Nestle Is Rebuilding in India-18 Months after the Maggi Ban.” Https:// Www.livemint.com/, Livemint, 15 Feb. 2017, www.livemint.com/Companies/ xyFCHn7hGJm1zUkesEVy5L/How-Nestle-is-rebuilding-in-India18-months-after-the- Maggi.html. Nagarajan, Vijay. Personal Interview. 27 June 2018. Parekh, Shaliee. 28 June 2018. PTI. “Instant Noodles: Quick Solution to World Hunger? – Times of India.” The Times of India, India, 27 Aug. 2013, timesofindia.indiatimes.com/home/science/Instant-noodles-Quick- solution-to-world-hunger/articleshow/22085102.cms. Ramen and is now popular everywhere. Ramen is a type of noodles with twisted strands usually cooked with chicken broth, beef broth, or pork broth. The noodle of ramen is typically made with wheat flour, salt, water and soda-infused water(kansui), which provides the light-yellow color of the noodle, chewy and slippery texture and its unique scent (Solt). 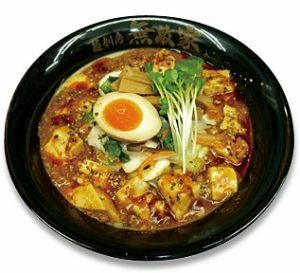 The topping of the Ramen includes vegetables, seafood, meat, and eggs. Ramen varies in the type and taste. One of the most typical types of ramen is Instant noodle, which also has various flavors and styles. It is convenient and affordable but has sophisticated taste. Similar to the most of the noodles and foods, Ramen is closely related to the society and its culture. Notably, in Korea, Ramen is developed as one of the most crucial parts of the food cultures and society though is not traditional Korean food. As of any other food, the origin of Ramen still on a debate, but most of the scholars thinks it started from China. Such claim of the professionals has highly credible assertion since the noodles and China is deeply associated. In China, a 4000-year-old fossil of a bowl is noodle was found. It is known as the earliest evidence of noodles ever found (Roach). Also, due to the vicinity of China and Japan, the cultural exchange had seldom happened in the past and present days, so it is conceivable that the recipe of Ramen or the root of the Ramen has started from China and transported to Japan (Solt). The scholars assume that Chinese merchants would have brought a bowl of soup what is now similar to today’s Ramen (Brickman). The first introduction of the Ramen can be assumed to be in the 1880s. In the busy port city of Yokohama, Japan, Chinese immigrants from Guangdong province worked as cooks at restaurants (Solt). The primary purpose of this restaurant was to serve students and foreign workers from their own country who is currently staying in Japan. 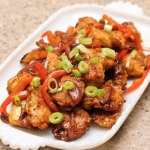 However, in the 1910s, the Chinese chefs in the restaurant started to use the ingredients that are not formerly used such as “roasted pork, soy sauce, and pickled bamboo shoots” in the Chinese food (Solt). Japanese workers, student, and soldiers also started to consume the food, and the noodle soup served in the Chinese restaurants now became popular among Japanese. Moreover, after the World War II, Ramen gained more popularity. Since Japan defeated from the war, food was scarce, and wheat flour, which is the main ingredient for making Ramen started to import from the United States. Those who returned from the Japanese occupied territory in China began Chinese restaurant and sold the noodles that now is called Ramen since they are familiar with the noodle-eating culture in China (“Correlation of Ramen…”). Though the root of the Ramen is China, later, Japanese had developed Ramen in different ways in a different region (Salt). With efforts of Japanese put on the development of Ramen, it became a national symbolic food of Japan and became one of the world favorites. After the introduction of Ramen from China to Japan, Japanese Ramen became popular around the world, especially in Korea. On the streets of different cities around the globe, Japanese Ramen restaurant is easily found. Korea is one of them. There are two types of Ramen in Korea. One is called Ramen, which is a Japanese style Ramen, the other is called Ramyun, which refers to the Korean style instant noodles. We will first discuss the Ramen in Korea. Ramen is known as Japanese dish in Korea and influenced a significant part of Korea’s food industry. For instance, the restaurant called Aori Raman demonstrates the popularity of Ramen in Korea. Aori Raman is a Japanese style Ramen. They only sell one menu called Aori Ramen with customized toppings. The Aori Ramen is a type of Tonkotsu ramen, which is originated in Fukuoka, Japan. 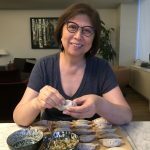 The soup is pork, and customers can add five different toppings: boiled pork, seaweed, boiled eggs, scallion, and fermented bamboo shoot (Kim Si Hwa). The Aori Raman restaurant first opened in 2016 in Seoul, Korea. In just two years, now, one Aori Raman in Seoul increased to 35 stores located not only in Seoul but also other parts of Korea. Their annual sales are approximately 25 billion (Lee Byeol Nim). 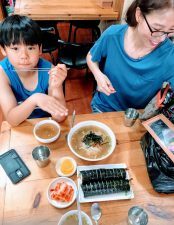 This is just one example of Japanese Ramen’s cultural influence on Korea, but there are countless successful other Ramen restaurants in Korea. As shown in the sample, Ramen from Japan became a significant part of Korean culture as well. Though Japanese style Ramen restaurant is a popular and thriving industry in Korea, Korean style Ramen, Ramyun is more familiar to most of the Koreans. It is more affordable and acquainted than Ramen with Koreans. Some Koreans may believe that Ramyun is distinctively different from Ramen and is Korean food but some may argue otherwise. Ramyun is different from what Korean define Ramen as. It refers to instant noodles or cup noodles. In a package of instant noodles, they typically have a chunk of pre-cooked dried noodle, powder, and solid ingredients. The instant noodles are cheap and easy to cook. For packaged instant noodles, you need put dried noodle, powder, and solid ingredients after water are boiled and put vegetables or eggs according to one’s taste. It is even easier for the cup noodles: you need to put hot water into the cup and wait for 5 minutes (“About Instant Noodles”). Such convenience and tastiness allowed Ramyun to be one of Korean’s favorite dish to eat. The origin of Instant Noodles also started in Japan and brought to Korea. In 1958, the time when the people’s consumption patterns have significantly altered due to development of new media: television, the world’s first instant noodles were invented by Momofuku Ando. The first instant Ramen is called “Chicken Ramen,” which was sensational and gained sudden popularity. For Ramen to become a ready-to-eat meal, Momofuku Ando has used a method called epoch-making system, which is a technique of “dehydrating the steamed and seasoned noodles in oil heat” (“About Instant Noodles”). 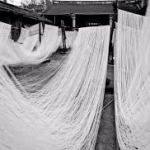 This simple method allowed the mass production of the instant noodles. This “Chicken Ramen” is cooked in just two minutes simply by boiling with the water, so it was called “a magic ramen” (“About Instant Noodles”). Later, due to people’s demand for better quality and taste, separately packaged flavoring powder was added. Furthermore, in 1962, healthier version of noodles was invented. The noodles no longer needed to be fried but were dried with heat (“History of Ramen…”). Then many types and flavors of instant noodles were launched, enhancing the taste of the products. Moreover, the cup noodles were invented in Japan as well. The cup noodles are instant noodles in cups. The most significant advantage of the cup noodle is the convenience. In contrast to the packaged instant noodles, you do not need to cook cup noodles. With the product and hot water, ramen is prepared anytime and everywhere. In 1971, CUP NOODLES® was introduced to the world. It was another revolutionary discovery of Ramen and one of the sensational inventions in the food industry. Inside the Styrofoam container, flavored noodles, dried shrimp, dehydrated pork, dehydrated vegetables, and dried eggs were included (“About Instant Noodles”). Such developments of Ramen had stimulated Koreans to create their version of Ramyun. The first Ramen in Korea was instant noodle developed by Samyang Ramyun. In 1963, Jung Yun Jeon, a founder of Samyang Food Company, introduced the technology of making Ramen from Japan to Korea. The reason why he imported the skill from Japan is similar to that of Japanese noodle got popularity. Due to the poverty after Korean War, Jeon decided to sell Ramyun as a solution to the problem (Kim Timothy). It was sold for 10 won, which can be converted to approximately 1 cent in U.S. dollars today. Though the primary purpose of the Ramyun was to solve the poverty, Ramyun soon became one of Korean’s favorite dish. Interestingly, Korea leads per capita consumption of instant noodles. In 2017, Korea had 73.4 million servings per capita, which is exceptionally high compared to Vietnam (53.5 servings million per capita), the second highest and Nepal (51.1 million servings per capita), the third highest (“About Instant Noodles”). This data shows how Ramyun became crucial to Korean culture, people, and daily life. Since the 1960s, as Korea interact more internationally, Koreans rapidly expanded their presence all over the world. While Koreans are abroad they homesick and look for authentic but convenient Korean food (Lee, Joel). Ramyun was the perfect fit for the demand because it has Korea’s traditional spicy flavor and easy to cook. The rapid increase of Ramyun demand mainly from Koreans and other Asians made Ramyun market grew internationally. As a result, Ramyun manufactures exported their product to other countries, and it started to roll out of Korean and Asian groceries to some of the big local players. In recent years, as Korean culture (food especially) become more mainstream than before, more and more people started to consume Ramyun fascinated by its convenience, low price and stimulating taste. According to Food Focus a Korean newspaper reporting mainly on food and beverage issues in Korea, international sales of Korean Ramyun in 2016 was 290,366 thousand U.S. dollars, and this is 60.8% increase from 5 years before (Lee Jae Hyeon). To be more specific, China, The United States, Japan, and Taiwan are countries are the top consumers of Korean Ramyun and sales is keep increasing except for Japan. In the case of Japan, the consumption is not necessarily decreasing, but because of Abenomics policy, an Abe administration’s economic strategy to reduce the value of the yen to take advantage in international trading. It was only the sales amount that was decreased (“Abenomics”), which implies that Korean Ramyun demand and market all over the world had been getting more prominent, and the precedent shows that the trend will continue in the future as well. As the Ramyun grew bigger on Koreans, new Ramyun reflecting people’s altering palate is launched. The Ramyun released in the past such as Shin Ramyun, Samyang Ramyun, and Neoguri Ramyun usually emphasizes on its spicy taste, so the red soup with red papers was a typical look of the instant noodle (“Timeline of History…”). However, Ramyun companies started to react to altering consumers’ tastes. The different type of instant noodles such as Black noodle Ramyun with black sauce and Kkokkomyeon with white broth was released. Moreover, the companies tried to break the stereotypical appearance of Korean instant noodles. Ramyun only with the sauce dried vegetables, seafood, or meats and without the soup was launched in Korea and gained popularity. For example, Hot Chicken Flavor Ramen started in April 2012. When it was first released, this noodle did not gain much attention. The Ramyun liquid type sauce and the absence of the soup even made it spicier than typical Ramyun. Soon, the consumers were attracted to its spicy but addictive taste. In 2015, the annual sales of Hot Chicken Flavor Ramen were 66.2 billion won, and in 2016, the sales increase approximately 50% to 138 billion won, which is a drastic increase (Lee Yu Jeong). As society change, Ramyun also reflects the trend and taste of consumers, which shows the correlation between the Korean society and Ramyun. 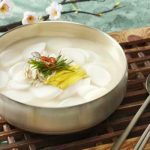 Even though Ramyun has a lot of benefits such as its affordable price and convenience in cooking, there always has been a critical problem which it affects health negatively. Ramyun’s noodle is mostly fried and made out of flour. Too much of food that is fried and made out of flour causes obesity which leads to heart disease, diabetes depression and more. Ramyun’s soup powder also causes problems. The primary cause is its sodium content. According to USDA, Shin Ramyun contains 2000mg of sodium a bowl (“Food Composition Databases…”). This is over 80% of daily value in sodium. Considering most people eat three meals per day, Ramyun eaters will easily consume more sodium than what USDA suggested. Too much sodium consumption results in various cancers, high blood pressure, osteoporosis and other crucial diseases. Knowing that many consumers nowadays care about what they eat and try to eat healthily, Ramyun manufacturers are making their product healthier than before. Pulmuone’s “Real Noodle Texture” is a new product which uses a dried noodle to avoid frying (“Pulmuone’s” New Ramen…”), and Paldo launched “Paldo Bibim Myun” which its noodle contains kudzu root to reduce flour content. With these efforts, they could decrease the calories so that consumers can avoid obesity. There are also several products which reduced sodium content. Nongshim’s “Nuguri” rolled out mild taste which contains 1480mg of sodium. This is 280mg less than the regular version, and it was a massive hit in the market (Lee Seung Hyun). Ramyun companies’ effort to make the healthier product and to reflect the current trend of the society stimulates the expansion of consumers who enjoy Ramyun. Moreover, since Korean society and the instant noodles are highly intertwined, Ramyun is often used as a symbol even in literary works. When an object is used as a symbol in a poem, it must be representative enough for the audience to understand. Most of the times, Ramyun is used as a symbol of loneliness because a person can effortlessly cook the instant noodle without any experience with cooking. Therefore, in contrast to other food made by the one’s mom or wife, the instant noodle is often compared with agony or hardship of life. For example, in the poem, While Boiling the Ramyun, by Gu Chan Jeong, a leading poet in Korea, the speaker describes his loneliness and the situation of absence of his wife using Ramyun (Jeong). Ramen became a detachable culture to Koreans and the culture. Though both Ramen and Ramyun in Korea originated from a foreign country, Koreans embraces and values the noodles. 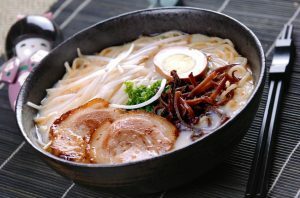 As proved through Ramen, noodles, and food has unique and strong ability influence individual’s culture on a small scale and even the world in a larger size. Though some people are unconscious of the impact of food on the society, the food and culture is deeply intertwined and is inseparable. “About Instant Noodles.” History | World Instant Noodles Association., World Instant Noodles Association, instantnoodles.org/en/noodles/index.html. “Food Composition Databases Show Foods — SHIN BOWL NOODLE SOUP, UPC: 031146262441.” Edited by USDA.gov, Food Composition Databases Show Foods — Oil, Soybean, Salad or Cooking, ndb.nal.usda.gov/ndb/foods/show/501181?manu=%2CSHIN%2BBOWL%2BNOODLE%2BSOUP%2C%2BUPC%3A%2B031146262441. “History of Ramen [라면의 역사].” Nongshim, www.nongshim.co.kr/ramyun/history1. Jeong, Gu Chan. The House Where Letters Live [글씨가 사는 집]. Ppuli [뿌리], 2015. Kim Si Hwa[김시화]. “Aori Ramen[아오리라멘].” Time Out Seoul,1 May 2017, www.timeoutkorea.kr/seoul/ko/restaurants/%EC%95%84%EC%98%A4%EB%A6%AC%EB%9D%BC%EB%A9%98. 라면의 ‘역사’ 삼양은 왜 추락했나].” Business Post, 4 Apr. 2014, admin.businesspost.co.kr/BP?command=article_view&num=1193. Lee Byeol Nim[이별님]. “‘Annual Sales of 25million’…Seungli’s 5 Successful Business [‘연 매출 250억’…’승츠비’ 빅뱅 승리의 사업 성공 사례 5가지].” Insight [인사이트], 16 Mar. 2018, www.insight.co.kr/news/144949. 역대 최고치…작년 32% 급증].” Food Focus Newspaper [식품음료신문], 19 Dec. 2017, www.thinkfood.co.kr/news/articleView.html?idxno=78346. Lee Seung – Hyun[이승현]. “The Reason of Neoguli and Yuggaejang’s Long-Run [너구리·육개장사발면 30년간 장수 비결].” E Daily News, 14 Feb. 2012, www.edaily.co.kr/news/news_detail.asp?newsId=02276326599430520. Herald, 9 Oct. 2017, www.koreaherald.com/view.php?ud=20171009000324. Samyang’s Representative Ramen [불닭볶음면 2500억 ‘화끈한 매출’… 삼양식품 간판라면 꿰찼다].” Hankyung.com, 4 Dec. 2017, news.hankyung.com/article/2017120485741. “Pulmuone’s New Ramen with Raw Noodle Texture[풀무원 라면 브랜드 ‘생면식감’으로 새로 론칭… ‘비유탕 라면’ 확대].” Pulmuone News Room[풀무원 뉴스룸], 8 June 2017, news.pulmuone.kr/pulmuone/newsroom/viewNewsroom.do?id=842. Roach , John. “ 4,000-Year-Old Noodles Found in China.” National Geographic, National Geographic Society, 12 Oct. 2005, news.nationalgeographic.com/news/2005/10/1012_051012_chinese_noodles.html. Solt, George. The Untold History of Ramen: How Political Crisis in Japan Spawned a Global Food Craze. University of California Press, 2014.
a diet that is promising quick weight loss through what is usually an unhealthy and unbalanced diet, targeting people who want to lose weight quickly without exercises, and restricting certain foods. This can make [fad diets] difficult to follow on a long-term basis and some can actually be harmful to one’s health (“Fad Diets”). 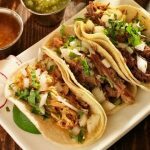 These trendy fad diets lack the necessary nutrients that are vital to have well-balanced meals and proper nutrition. Compared to other cultures such as the Italy’s Mediterranean Diet and the traditional Chinese/Asian diet, America’s population of health is waning. This paper will look at both the situation leading to the fad diets that effect the pasta industry among various economic backgrounds and global cultures and the social outcomes that result from consumption. While one might assume that Americans’ obsession with fad diets would stem directly from vanity and consumer culture, the origins of fad diets date back to the practices of Olympic athletes of ancient Mediterranean city of Athens, Greece (Applegate, 869S). The Greek Olympians practiced a symbolic form of dietary restrictions including consuming deer liver and lion heart before competition to impart bravery, speed or strength to improve their performance (Applegate, 869S). Following the creation of exercise science in the early twentieth century, fad diets became more popular for their science-based practices like carb loading, taking ergogenic aids, or excessive caffeine consumption (Applegate, 869S). 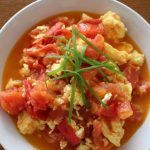 In the past, fad diets have focused on the rapid improvement of performance of athletes, usually only during young ages for a short period of time, similar to a training regimen. However, as the American epidemic of obesity has grown, fad diets have taken a turn towards rapid weight loss, often at unrealistic goals. Fad diets promote limited diets that are not sustainable for the long term. The Atkins diet preaches an “ad-libitum consumption of fatty meat, butter, and other high-fat dairy products, restricting only the intake of carbohydrates to under 30 grams a day” (Astrup, 897). The Zone diet encourages every meal to be comprised of four percent carbohydrates, thirty percent protein, and thirty percent fat to reach the “zone” which is a physiological state that can be measured in clinical tests” (Cheuvront, 1). More recently, the Gluten-Free diet, used to treat patients with Celiac disease, has become a widespread phenomenon across America among nearly twenty million non-celiac consumers (Nettleton). The Paleo diet encourages only foods “similar to what might have been eaten during the Paleolithic era, which dates from approximately 2.5 million to ten thousand years ago” (Mayo Clinic). This diet consists of lean meats, fish, fruits, vegetables, nuts and seeds, only those that could be found by hunter-gatherers. Among many other variations, these fad diets focus on low consumption of carbohydrates, offering a faster metabolism, speedy weight loss without an indication on long term effects, which has caused both the social and economic environment surrounding food to shift. According to the National Pasta Association, the average American consumes approximately twenty pounds of pasta annually, making it the sixth highest food per capital in the country (National Pasta Association). Pasta has adapted to every shape, size, or flavoring that a consumer could desire. It is widely available at any supermarket with rows of boxes dominating shelves in dried or frozen varieties at a very affordable price. In a recent study conducted by Harris Interactive, researchers found that fifty-nine percent of American adults eat noodles or pasta in a meal at least once a week (Daniels). While the origins of pasta are often linked to the Italian merchant, Marco Polo, and his travels on the Silk Road to China during the thirteenth century, historical evidence s of pasta have been linked to Etruscan tombs from the early fourth century BCE (Vita, ix). The popularity of pasta grew during the Renaissance as the dish would sit among aristocrats and incorporate pork and beef ingredients to make raviolis (López). By the late seventeenth century, pasta became a mainstay among the peasantry and commoners of Italy with its cheap wheat prices, compared to the increasing meat cost, the creation of an industrial manufacturing which made is more economical to produce, and its role as a filling alternative for when eating meat was banned in the Christian communities (López). As pasta spread across the world, it made its way to America during colonization. Similar to the Italians’ affection towards pasta, the English expats came to enjoy pasta regularly, particularly among the upper class, some even importing from Italy (Kummer). The first pasta factory in America is credited to Frenchman, Antoine Zerega who set up shop on the Brooklyn waterfront in New York in 1848 (“History”). However, by the time of the Civil War, pasta factories were widespread, and macaroni and cheese became an American dish. This lead to pasta falling out of fashion, and it was no longer served at upscale restaurants (Kummer). Pasta, as many Americans know it today, as a staple of the middle class emerged after the large wave of Italian immigration during the end of the nineteenth century (Kummer). America’s grocery store consumer culture began to heat up after Chef Boyardee launched canned pasta in 1928, and Kraft Macaroni and Cheese started selling in 1937 (Kummer). These commercially available pastas became some of America’s favorites and indispensable among the middle-class market, due to its long shelf life as dried or canned food, slow-releasing carbohydrates and its price accessibility. Today, pasta innovations have expanded to reach every market condition. Fad diets have inspired healthful alternatives to regular white pasta produced by the top pasta companies such as Barilla with variations such as gluten-free dried pasta boxes, Zoodles, spiralized zucchini in the shape of spaghetti noodles, vegetable-infused orange and green pasta, protein-enriched pasta, cellophane noodles made of mung bean, and spaghetti-like tendrils from summer squashes. These types of pastas and substitutes are available at large supermarket chains such as Walmart, Publix, Kroger, and Whole Foods at a few dollars for multiple servings. Despite variety available, according to Mintel, overall pasta sales have continued to decline since 2011 due to the growing health concerns (Daniels). The condition of Americans regarding physical health has declined in the recent years with obesity, diabetes, and heart diseases as the leading ailments of consumer health, leading many to look to fad diets and new regimens. In 1992, the United States Department of Agriculture published the first American Food Guide Pyramid which emphasizes foods from five major food groups to provide the nutrients needed to each day (USDA). 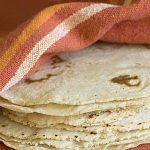 The guide included six to eleven servings of grain, two to four servings of fruit, three to five servings of vegetables, two to three servings of meat, two to three servings of milk and dairy products, and fats, oils and sweets to be used sparingly (USDA). While other less,-detailed food guides were published prior to the Food Guide Pyramid, the marketing campaign for the new version increased popularity along with the implementation of the Nutrition Labeling and Education Act in 1990 (Office of Regulatory Affairs, FDA). The Food Guide Pyramid was updated in 2005 to include “physical activity and the concepts of variety, moderation, and proportion,” and it was later replaced by MyPlate, a visual representation of proportions of healthy eating, “not intended to provide a specific message” (Welsh, 6-11). 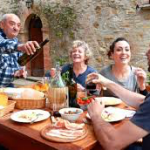 These guidelines have often caused public confusion due to the variety of diets and conflicting reports of what is “best.” However, the Mediterranean diet, followed by most Italians, and the Asian diet food pyramid, followed by most Chinese, along with the American food pyramid, all agree that including plenty of grain products, vegetables, and fruits with physical activity, moderate consumption of alcohol, and limited sugar are practices of a healthy lifestyle (Center of Nutritional Policy and Promotion). 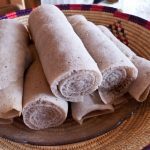 In addition to differences in diet based on availability of agricultural products, cultural practices are often incorporated into the historical eating patterns. For example, compared to American diet, red meat is occasionally recommended monthly for Asian and Mediterranean diets with eggs and poultry as the primary protein sources, the Asian diet contains limited dairy products in mostly low-fat forms, and oils are devoted to regional differences with olive oil for Mediterranean, peanut oil for the Asian, and vegetable oils for Americans (Center of Nutritional Policy and Promotion). While these various pyramids spanning the world’s cultural and medicinal differences, it is clear that pasta as a grain, is beneficial to the diet in reasonable quantities on a low-glycemic index food. 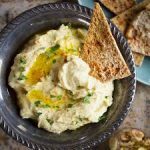 In a recent study published by St. Michael’s Hospital, a group of thirty randomized controlled trials including over two thousand five hundred people at three servings of past a week instead of other carbohydrate. 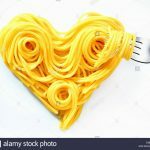 Research found that participants lost approximately one and a half kilograms over a median follow-up of twelve weeks, concluding that “pasta does not have an adverse effect on body weight outcomes when it is consumed as a part of healthy dietary pattern” (Chiavaroli). The study was published in April of 2018 and received low coverage in the national media—the more popular narrative, sometimes called “carbophobia,” a reference to America’s apparent fear of carbohydrates, continues to affect the economic outcomes of pasta in the United States. The future economic outlook of the pasta industry widely depends on the consumer behavior and public perception in the upcoming years. As discussed, pasta is an affordable meal for nearly all economic classes, yet it seen as a simplistic dish commonly associated with lower social status. Economic studies on pasta indicate the divide on social classes and income levels. Barilla is the largest pasta company in the world with $3.5 billion in sales (Sorvino). In a relatively localized industry, Barilla holds ten percent of the worldwide sales of pasta and thirty percent in the dry pasta market. Consumer insights for the Barilla indicate that when consumers purchase Barilla pasta over other brands, they pay primarily with food stamps with the pricing index of 122, secondarily with credit at index of 105, in cash at index of 103, and with debit at an index of 90 (“Barilla”). This indicates that the groups of consumers who purchase Barilla pasta over other brands, use the opposite forms of payments. Food stamps are limited to the type of ingredients bought at the grocery store and require a low income, whereas those who pay with credit typically have no limitations on types of food to purchase, must be in good standing with a bank, are typically employed with a disposable income. This represents the divide among pasta with the reason attributing to the strong influence of fad diets. To increase market share, Barilla has invested $26.5 million to expand its pasta plants with two gluten-free options which now make up two percent of its volume sold in the US market (Sorvino). According to Euromonitor, global sales of gluten-free pasta increase eighty-nine percent since 2016, and Forbes projects this growth to expand by forty-three percent by 2020 (Sorvino). This investment directly resulted in the change in consumer index measurements which indicate that pasta-eaters who make over $100,000 annually are at a 105 index and over $125,000 at index of 120 compared to the index of 88 for less than $20,000 annual salary and 91 for consumers who make less than $40,000 annually of those who purchase Barilla over other brands (“Barilla”). The company’s efforts to be inclusive and incorporate fad diets has led to the increasing purchase by upper-class consumers while still maintaining affordability for lower income communities. An additional hurdle that can be placed on lower income people is the access to proper nutrition regarding the toppings of the pasta sauce. According to the US Census data and Simmons National Consumer Survey, 265.38 million Americans use spaghetti / pasta sauce in 2017 which is projected to increase to 274.48 billion by 2020 (“U.S. : Usage of Spaghetti”). Because pasta acts like a canvas for many other complementary nutrients, pasta can be cooked with additional vegetables, oils, and meats to meet the standards of the American Food Guide Pyramid and the Mediterranean diet. However, for lower income people, it can be a challenged to find affordable, fresh food to top their pasta. These pre-made sauces are a quick and simple addition to the similarly affordable bowl of pasta, but the nutrition can compromise the benefits of eating pasta. Many pre-made tomato and cream-based sauces are packed with high levels of sodium, salt and preservatives (“U.S. : Usage”). In places such as food deserts where a grocery store is unavailable, or a limited spending amount like on Food Stamps, the appeal of pasta is more focused on the slow-burning carbohydrates which create a sense of fullness, rather than nutritional benefits or culinary prowess. These economic conditions presented by food inequality present numerous social hurdles among the different classes as well. It is no secret that food can make one happier. According to a study completed by the University of South Alabama, carbohydrates cause a significant effect on mood with both cravings and consumption. The study found that “carbohydrate cravers reported feeling distress prior to their cravings and satisfied, happy, and relaxed following carbohydrate consumption,” and “protein cravers reported feeling anxious or hungry prior to their cravings and happy, normal, bored, and energetic following protein-rich food consumption” (Christensen, 36). These cravings were primarily directed at sweet and sugar-rich foods such as chocolates at twenty-five percent, pasta at thirteen percent, and lower percentages of candy, ice cream, bread and pizza (Christensen, 139). Therefore, giving up pasta for a restrictive, low-carb fad diet can cause unwanted craving which can trigger mood swings, anger, and even depression. 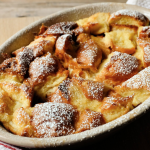 it has always been true that you can have your soufflé Furstenberg and eat it, too, just as long as you observe strict rules in private, exercise moderation, and are blessed with good genes. If pressed, though, they’ll lower their voices and dish about what those other girls are doing to stay thin (Widdicombe). For many women, fad diets are like a new fashion trend: something to show off and to brag about to anyone who will listen. When coupled with social media, fad diets can become a toxic stressor to the participants due its air-brush tools, photoshop, likes and the nature of self-promotion. A Pew Research project found that thirty-one percent of teens get health, dieting or physical fitness information from the internet, especially among teenage girls (Lenhart, 4). In a similar survey, the National Osteoporosis Society released a study that found four in ten people aged eighteen to twenty-five have tried dieting, twenty percent had to cut their calorie intake of dairy, and the group was most likely to receive their nutritional information from social media (Sherman). With the rise of eating disorders among young men and women, it can be difficult for people to decipher what is actually “a truly holistic, healthy approach versus the obsession with comparing and weight-focused discussions” said Claire Mysko, director of the National Eating Disorder Association to Elle magazine (Sherman). The online environment can affect any members of social classes and prevent people from receiving appropriate nutrients. Fad diets will continue, but proper qualifications on social media are necessary to prevent the spread of misinformation. Though it may be contested now, trends occur in cycles. There is a rise of innovators, early adopters and early majority, then the late majority and the laggards who eventually catch on. While some of the fad diets trends such as the gluten-free diet, ketogenic diet, and vegan diet have become a mainstay among Americans, the agricultural industry will adapt to the health, economic, and social changes. Pasta is a diverse connector among social classes, economic backgrounds and cultural diversity. Though its health benefits may come to question at times, pasta can be incorporated in proper proportions in a healthy meal plan full of complex carbohydrates, and it can be paired with a variety of nutritious sauces that created a well-balanced diet. The noodle plays an integral role in the American diet and has influenced people, companies and recipes to change. Economic conditions of which demand for pasta declined was adapted with the creation of new pasta innovations. As these pasta innovations and fad diets spread across social media and reach adaptation, patterns of eating are adjusted, and the new versions of American culinary landscape is created. Astrup, Arne, et al. “Atkins and Other Low-Carbohydrate Diets: Hoax or an Effective Tool for Weight Loss?” The Lancet, vol. 364, no. 9437, 2004, pp. 897–899., doi:10.1016/s0140-6736(04)16986-9. “Barilla Consumer Insights and Demographics.” Infoscout.co, www.infoscout.co/brand/barilla. Center of Nutritional Policy and Promotion. “Nutritional Insights: Are All Food Pyramids Equal?” Insights 2. April 1997. Pp. 1-2. Daniels, Jeff. “Pasta Demand Wanes – Even in Italy – as Health-Conscious Consumers See It as a Carb Demon.” CNBC, CNBC, 25 May 2017, www.cnbc.com/2017/05/25/pasta-demand-chills-as-health-conscious-eating-trend-affects-sales-.html. Kummer, Corby. “Pasta.” The Atlantic, Atlantic Media Company, 1 July 1986, www.theatlantic.com/magazine/archive/1986/07/pasta/306226/. “History.” National Pasta Association (NPA), ilovepasta.org/history/. López, Alfonso. “The Twisted History of Pasta.” National Geographic, 1 Nov. 2016, www.nationalgeographic.com/archaeology-and-history/magazine/2016/07-08/daily-life-pasta-italy-neapolitan-diet/. “Fad Diets.” University of Pittsburg Schools of Health Sciences, www.upmc.com/patients-visitors/education/nutrition/pages/fad-diets.aspx. Mayo Clinic. “Paleo Diet: Eat like a Cave Man and Lose Weight?” Mayo Clinic, Mayo Foundation for Medical Education and Research, 8 Aug. 2017, www.mayoclinic.org/healthy-lifestyle/nutrition-and-healthy-eating/in-depth/paleo-diet/art-20111182. National Pasta Association. “Pasta Facts | Pasta Nutrition Facts.” Pasta Fits, pastafits.org/pasta-facts/. Office of Regulatory Affairs. “Inspection Guides – Nutritional Labeling and Education Act (NLEA) Requirements (8/94 – 2/95).” U S Food and Drug Administration Home Page, Center for Biologics Evaluation and Research, www.fda.gov/ICECI/Inspections/InspectionGuides/ucm074948.htm. Lenhart, A., Purcell, K., Smith, A., Zickuhr, K. “Social Media & Mobile Internet Use Among Teens and Yoing Adults.” Pew Research Internet & American Life Project. February 2010. Sherman, Elisabeth. “Is Social Media Making Us Eat Poorly?” Food & Wine, www.foodandwine.com/news/experts-say-dieting-crazes-social-media-are-making-millennials-sick. Sorvino, Chloe. “Pasta Is Trending: Here’s How the Billionaire Barilla Family Heirs Are Taking Advantage.” Forbes, Forbes Magazine, 13 July 2016, www.forbes.com/sites/chloesorvino/2016/07/06/pasta-is-trending-heres-how-the-billionaire-barilla-family-heirs-are-taking-advantage/. United States Department of Agriculture. “The Food Guide Pyramid.” 1992. “U.S. : Usage of Spaghetti / Pasta Sauce 2011-2020 | Statistic.” Statista, www.statista.com/statistics/281235/us-households-usage-of-spaghetti–pasta-sauce-trend/. Vita, Oretta Zanini De, and Maureen B. Fant. Encyclopedia of Pasta. University Presses Of California, 2009. Welsh, S, Davis, C, and Shaw, A. “A Brief History of Food Guides in the United States. Nutrition Today. November/December 1992:6-11. Widdicombe, Ben. “An Unofficial History of Rich Women and Their Diets.” Town & Country, Town & Country, 7 May 2018, www.townandcountrymag.com/society/money-and-power/a19702512/rich-women-diets/. Japanese ramen (Fig.1), a chewy type of wheat noodles served in thick pork or fish-based broth, has become a popular dish throughout the globe. Despite the complicated and time-consuming process for preparing the ramen broth and its meat toppings, Japanese ramen could be both affordable and casual; served in street stalls of Tokyo for about 5 dollars. However, at the same time its humble background doesn’t impede it from being present in the menus of the most luxurious Japanese restaurants all over the world. Japanese ramen, named after Chinese pulled-noodles and still called “中華ラーメン”, by the Japanese people have no doubt exceeded its Chinese predecessors in international acceptance. In this essay I would examine both the history and present of Japanese ramen, further locate ramen in Japanese culinary culture and answer the question of why this food became immensely popular. Fig.1: Japanese ramen in tonkatsu broth, with scallion, agaric and roast pork as toppings. “Although there are as many types of ramen as there are ramen chefs, the most basic components of a bowl are the noodles, the stock, and the flavoring sauce.” (Solt, 3) Authentic ramen noodles present a yellowish color from the infused water (kansui) added in the dough, other ubiquitous components include wheat flour, salt, water and baking soda. Different regions in Japan have their own customs for making ramen broth, a combination of meat, seafood, and vegetables boiled for up to a whole day renders the broth a thick taste. 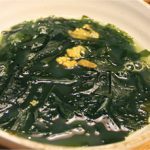 Lastly, the concentrated seasoning sauce (tare), is usually available in three flavors – salt (shio), fermented soybean paste (miso), or soy sauce (shoyu). Eating nothing but ramen on a date. With an empty wallet, yesterday and today. For postwar Japan, although ramen was the affordable commodity that kept the country working, people labeled the low-cost food along with the hardship the working class faced during their country’s recovery period. The thought of considering ramen as the monotonous choice of diet altered accompanying the country’s rapid economic developments. In a 1985 Japanese film Tampopo, failing several times before making a satisfying bowl of ramen, the protagonist of the film reaches a “Ramen Enlightenment” and claims that: Good ramen represents all that is good in life. (Kushner, 7) Throughout the postwar decades, ramen chefs continuously introduced modifications to the original recipe, therefore the intricate process of creating a perfect bowl of ramen had conveyed the Japanese spirit of craftsmanship, the spirit to pursue excellency in one’s field of profession. 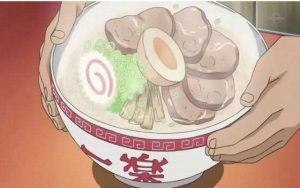 Nowadays, ramen has become an inseparable part of Japanese pop culture, in the renown manga Naruto, the young ninja Naruto favorites the ramen (Fig.2) from the restaurant Rāmen Ichiraku (ラーメン一楽 ), he claims that the food fills him with strength. In modern Japan, ramen stalls are present in every corner of the streets, serving this comforting noodle dish to people after a day of hard work. During the early 20th century, Ramen enjoyed increasing popularity in cities of the West such as Paris, New York and Honolulu, it became the first modern international food produced in the East. (Solt, 132) Today, Japanese or Asian fusion restaurants all over the world offer ramen to their customers. Ichiran-Ramen (一蘭ラーメン) is arguably the most popular ramen restaurant in Japan, founded in 1960 in the city Fukouka, the restaurant now has branch stores in Osaka, Tokyo, and other major Japanese cities, the restaurant is famous for its Hakata-style ramen (Fig.3) and insists in only selling such ramen. Ichiran started as a membership restaurant, since the founder was only content to offer his service to frequent customers who had shown their appreciation towards its ramen by returning to the restaurant time after time. Later, the competition in the foodservice grew more and more rapid, forcing Ichiran to open its doors to regular diners. Today, Ichiran-Ramen restaurants all over Japan have become crowded tourist attractions for those on a quest for authentic Japanese ramen. The restaurant grew into a merchandise that tenaciously abides by the ramen recipe handed down from its founder, focusing on the conformance in flavor standards among its branches. Fig.3: Ichiran-ramen’s Hatakat-style ramen, characterized by the creamy tonkatsu broth, chili oil and light flavored chaashyu. 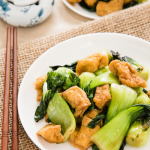 Adding in Sichuan culinary elements, such recipe was nothing orthodox compared with typical Tokyo ramen in lofty chicken broth, however, it was surprising successful among consumers who prefer a more pungent taste and vegetarians who chose bean curd as their protein source. 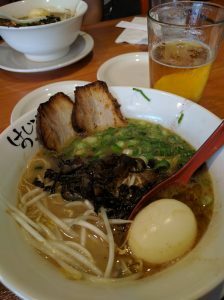 Ramen restaurants are not rarely seen even across oceans in the United States, the Hajime Ramen Bar located at 2345 Cheshire bridge rd NE is a rallying point for Asian students in Atlanta. The restaurant offers a great many choice of noodles in their innovation menu, including honey miso, wasabi shoyu and ultra-spicy ramen (Fig.5), these ramens comprehend complexed flavors in their broth. Differing from their peer restaurants in Asia that only provides a handful of toppings limited to Chaashyu, bamboo shoots, scallions and Onsen Tamago (half boiled egg), Hajime offers a lot more, including but not limited to seaweed, spinach, corn, mushroom and even fried chicken nuggets, ingeniously combining western and eastern culinary through their ramen. Fig.5: Tonkatsu ramen served in Hajime. Ramen, along with Sushi has been a national cuisine of Japan, the food stands for Japan’s national identity and cultural homogeneity. According to a survey, “Ramen accounts for twenty-six percent of all meals eaten outside the home.” (Kushner, 3) There are around 80,000 ramen stalls in Japan, the accumulated income for these ramen stalls could go up to 0.8-1 trillion yen per year, with an average price of 700 yen per bowl, the Japanese people could consume 12-14 hundred million bowls of ramen per year. In Tokyo, the average cost of a bowl of ramen in “new-wave shops” is over 800 yen ($8.70). 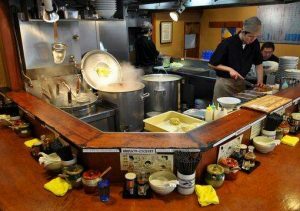 More traditional or family-businesses offer bowls from 550 yen ($6.00) and up, and some franchised shops offer 290-yen ($3.10) bowls for students and youth who just started their career. (Fig.6, Rath & Assmann, 262) Anyhow, the price of a ramen meal is well below the average cost of meal in Tokyo, which is 800 yen, throughout its 150 years of history, ramen has persistently played the role of filling the stomach of the commoners. Due to ramen’s ever evolving nature, keeping up with the newest ramenology could well be a full-time job. Guide books that meticulously comment on ramen from different restaurants are sold to ramen fanatics to guide them to satisfaction. Ramen museums are also founded in many Japanese cities, as they educate people on the characters of ramen in different regions. Fig.6: A ramen stall in Tokyo, this stall could serve up to 200 customers each day. Cup ramen emerged in 1960s, as the Japanese businessman Ando traveled to the US to promote instant ramen as a new food to Americans looking for an exotic “oriental” taste. (Kushner, 221) Nowadays in Tokyo, of the average man or woman questioned for the survey, about 50% admitted eating cup ramen about one-to-three times a month. In the rapid paced modern metropolitan, instant ramen has become the most popular convenience food. The largest instant noodle corporation Nissin (founded by Ando) design a variety of products that imitate the taste of Japanese ramen, the company claims that they are now competing with regular ramen on quality. Last year, the company came up with a series named “The King of Noodles” (Fig.7), providing their consumers with numerous of choices in flavor, although each bowl of “The King of Noodles” is sold at 400 yen, it is said to have perfectly replicated the broth of traditional Toyko ramen. Fig.7: “The King of Noodles” soybean source flavor, cup noodle in Chinese version. 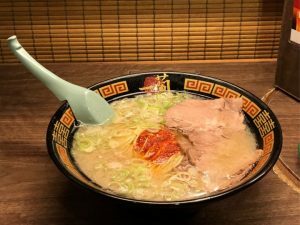 Ramen, a Japanese noodle that started as a necessity for the working class due to its filling and cheap nature, records the social development and improvement of life quality in the nation, and is now received global acceptance as Japan’s national food. Served in a variety of forms, ramen had no doubt spawned a fever for noodles internationally. Although the original recipe by the Chinese migrant who decided to sell noodles from his homeland for a living, had been modified for countless times throughout a century, the slipping texture of noodle and the thick broth remains the reason of its popularity; after a long day, a bowl of ramen offers diners an indulgent moment. Barak Kushner, Slurp! A Social and Culinary History of Ramen- Japan’s Favorite Noodle Soup, Global Oriental Press, 2012. Eric C. Rath and Stephanie Assmann, Japanese Foodways, Past and Present, Univerity of Illinois Press, 2010. George Solt, The Untold History of Ramen: How Political Crisis in Japan Spawned a Global Food Craze, University of California Press, 2014. Marilyn Ivy, Discourses of the Vanishing: Modernity, Phantasm, Japan, Chicago: University of Chicago Press, 1995.